Some don't want the bulk or size of a full-size fighting knife, and that's where the Lil Fighter fixed blade from Hazen Knives makes a welcome alternative. Though it is smaller, the Lil Fighter maintains the same premium blade steel and handcrafted build of the larger models and a cutting edge that will certainly perform the majority of chores you'll encounter. 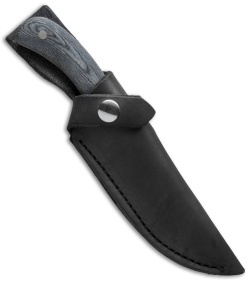 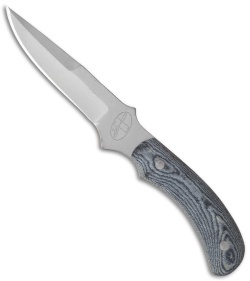 It has a grippy canvas Micarta handle and swedge ground clip point blade. Includes a leather belt sheath.